Adventure Riders welcomes all types of Bikes with more than 600cc engine. Hi, my name is Daniel. I´m from México and I want to go to Egypt on motorcycle. I want rent a bike for 20Th days. I an my wife were students of egiptology an we are thinking to travel. What do you think? 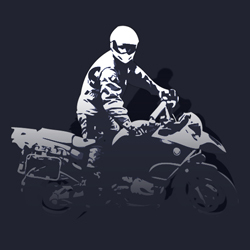 Can you help me and say me motorbike rent in Cairo or Alexandria? Thank you very much. Is this group still active if so do you meed or do anything?? Hi.., my name is Essam and I live in Rehab.. wish to join a group of riders understand and consider the freedom of members and the soul of the team. 01122223260 please call. any trips soon isa ?????????????????????????????????????!!!!!!!!!! Dino, Where will be ride tomorrow ISA. to sokhna.if you are interested contact me. any rides ?? we need one !! Couple rider is allowed what do you think guys ?? There are two types of people in this world, people who ride motorcycles,and people who wish they could ride motorcycles. Call Khaled Cappo for off road motorcycle rentals/trips @ +201119229111. Cheers. Hey guys, Any trips soon? The weather is perfect for a long ride! I'm in... but plz set the date ASAP to arrange vacations, or we can make it over a weekend. sa3b awy ya man 3shan hanroo7 emta we nerga3 emta 3shan el work? Guys. Am planning for a long cruize to hurgada. Anyone interested??,! !